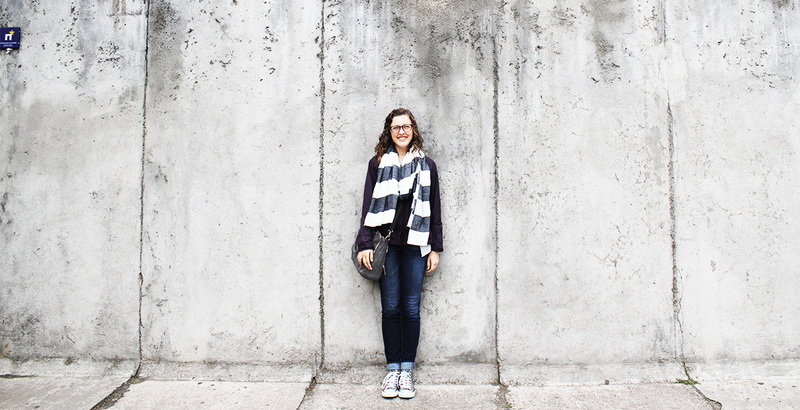 Feekin with part of the Berlin Wall during her study abroad trip to Germany. Hi! My name is Lauren Feekin, and I am a fifth-year senior here at the U of A, graduating in December 2016. I am from Lee’s Summit, MO, right outside of Kansas City, and ended up at Arkansas because it flew under my radar, and completely swept me off my feet when I saw its beautiful landscapes and opportunities. Through my years here, I have been constantly surprised by the kindness that abounds not only from the students, but also the professors that have cultivated my passion for biomedical engineering, as well as the German language. Wait—A double major in something outside of math and science?! That’s right, and it’s been one of the best decisions I’ve ever made. It’s a heavy course load—don’t get me wrong,—but I have learned so many things by double-majoring that have helped develop my passions and desires for my life that I wouldn’t change a thing. Allow me to back up and explain how I got started. When I was younger, I studied German in high school, but I got slightly burnt out after year 5, and my dad made a deal with me – take one semester in college and if I disliked it, then I could stop. I started an engineering track, begrudgingly enrolled in Advanced German I, and over the course of the semester, my eyes were opened to the complexity of the langue. Once more, I fell in love with it. This feeling was compounded during the summer of 2015 which was filled with German language, friends, and food as I was able to study abroad in Holzkirchen, Germany, for 6 weeks. What an incredible experience—to see a different culture from a local perspective and to learn to love the culture through the eyes of the locals. Feekin visiting King Ludwig’s 3rd and last castle on Herren Insel in Germany. The island behind her is Herren Insel (Man’s Island) and the one behind the camera is Frauen Insel (Woman’s Island). 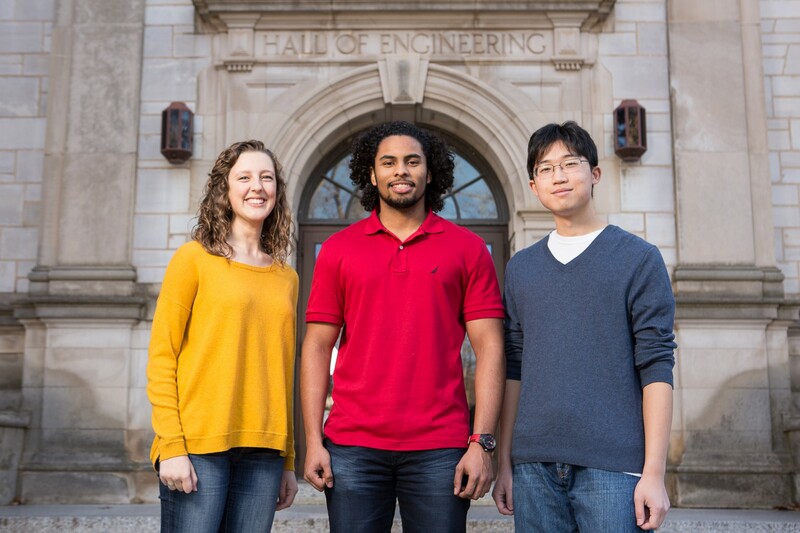 When it came time declare a major, I knew I wanted to pursue biomedical engineering as well as German. Though you might not think it at first, the disciplines complement each other in unexpected ways. Biomedical Engineering is full of courses that push your mind and understanding of the body, help you to develop a problem-solving mindset, as well as the discipline to achieve anything you set your mind to. These traits are all encouraged by the faculty and peers that fill our department. German is full of creative writing and exploring, reading literature from authors from long ago and diving into the culture of the German people. Obviously the two are extremely different, but when combined, they’ve helped shape me into both an analytical and creative person who loves the German language, pretzels, and architecture just as much as learning about human physiology and how we as engineers can improve someone’s quality of life. 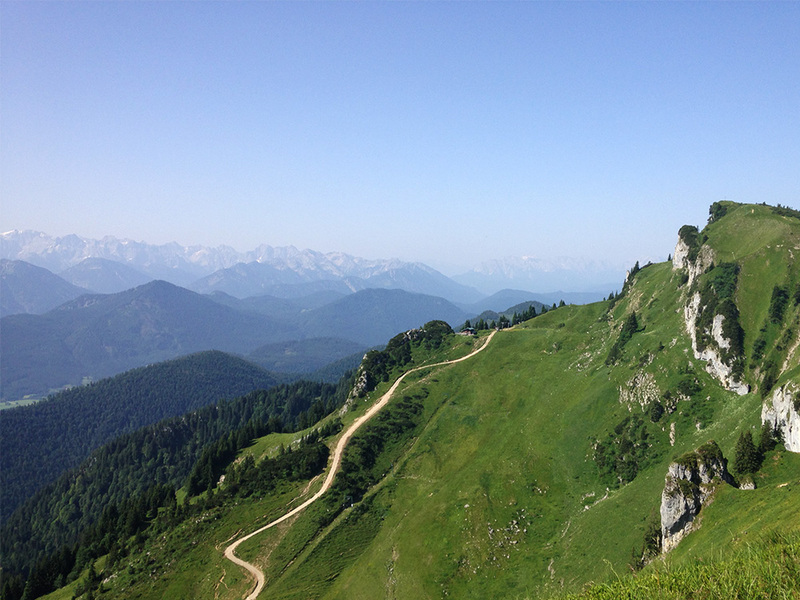 One of Feekin’s favorite photos of the Bavarian Alps. When considering the future, I have only a faint idea of where I may end up, but I know that I have several options and avenues to go down because of these two areas of education that I have been so thankful to explore. 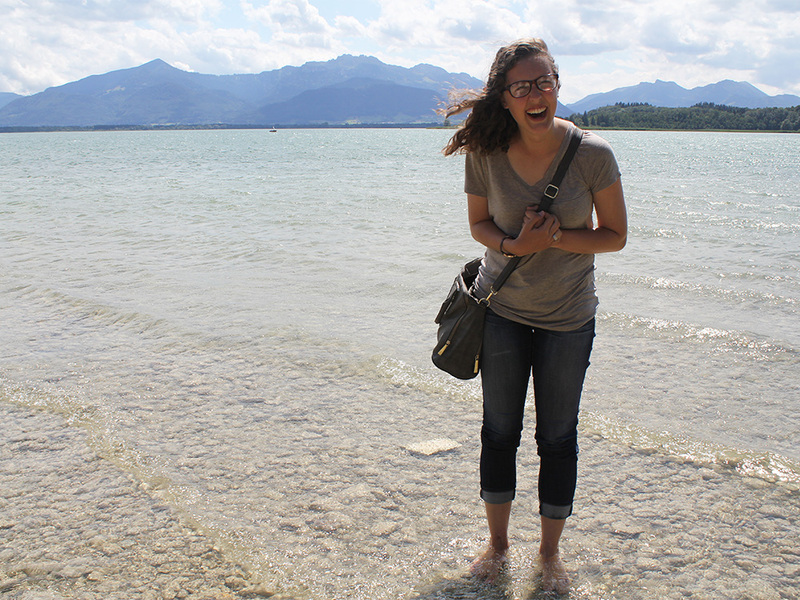 To learn more about Lauren, read the article featuring her in Research Frontiers!